This is one of my summer to fall looks! I think kimonos make really fun outfit makers. 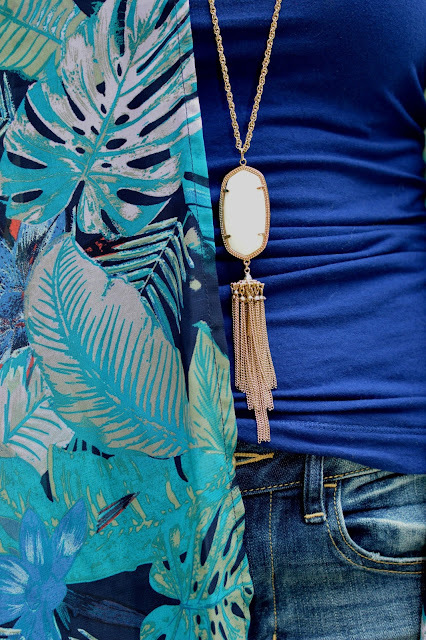 A bold printed cardigan/kimono like this one is something I truly love about summer fashion! They are so easy to throw on and make a simple tank and jeans look more put together. 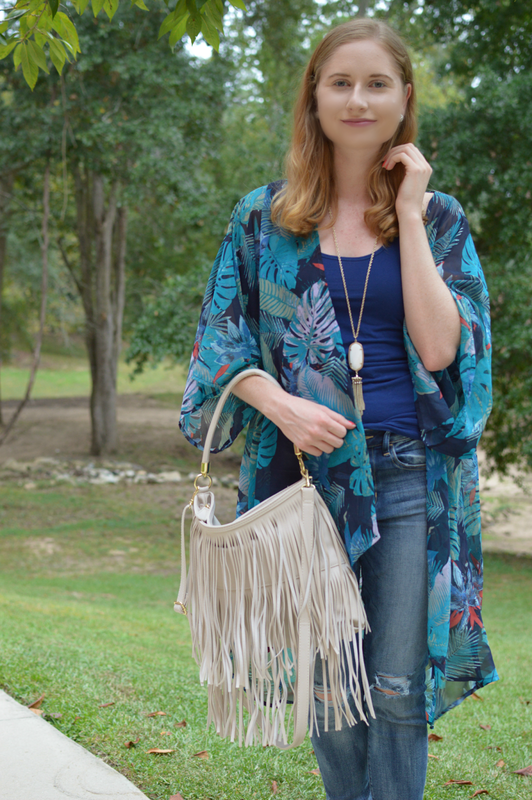 It was surprisingly chilly out this September day so I grabbed this blue tropical printed cardigan and paired it with my favorite American Eagle skinny jeans. Fringe is a major trend for the season, so I used my off-white shoulder bag in this look.